The Hollywood Reporter just announced that Jonah Hill is in talks to join Scorsese and Leonardo DiCaprio in The Wolf of Wall Street. I guess Moneyball has really added an entire dimension to his acting credibility; along with the weight loss he seems to have lost the label of 'just another fat goofy guy making semi crude comedies'. According to HR he'll play "Danny Porush, who is convinced by his future best friend and business partner Belfort to quit his job in furniture sales and enter the lucrative yet volatile world of stock brokering. The film chronicles the duo’s meteoric rise and colossal fall amidst scandal, fraud, and excess." I have to say this tawdry tale is sounding better and better! 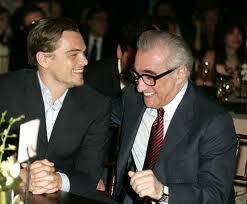 I love DiCaprio and Scorsese - especially when they team together - so I'll probably overcome my aversion to criminals getting even richer off their bad choices and see the movie when it comes out. They don't get started filming until the fall so it's well over a year away. 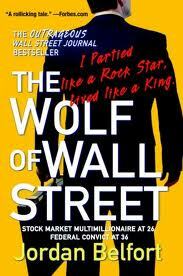 The book was first published in 2007 and chronicles former Wall Street stockbroker Jordan Belfort’s "rise to riches – and ultimate white collar crime conviction. Despite the true story itself leaving Belfort’s investors with losses totaling over $100 million collectively, his memoir has become a go-to read as a result of the outrageous activities of the stock kingpin and his underlings – which included, among other debaucherous adventures, loads of cocaine and prostitutes as well as a crashed Gulfstream jet - all while his wife and children waited at home (he’s since divorced)." Apparently Belfort’s tale was the inspiration for Ben Younger’s 2000 film, Boiler Room starring Giovanni Ribisi and Vin Diesel. And on the Hunger Games "Catching Fire" front - you may remember Gary Ross has decided not to direct the second film. 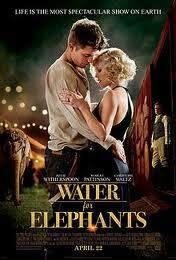 There was lots of speculation over who the helmer would be, with the decision coming down to Bennett Miller who directed Moneyball and Francis Lawrence who directed Constantine, I Am Legend and Water for Elephants based on Sarah Gruens book..
A major scheduling conflict tipped the decision in Lawrence's favor. According to Deadline.com (who broke the story) Lionsgate wanted to get started in late August, and Bennett Miller wanted them to start later (as did Gary Ross and why he ultimately turned it down, saying it wasn't enough time to prepare). Lawrence jumped at the chance. According to Screen Rant "The choice of Lawrence is definitely a major change from what many industry experts have been speculating. He certainly has experience working with big stars like Keanu Reeves, Will Smith and Reese Witherspoon – but none of his films has been of the same magnitude and scope as directing the second chapter in a (newly) beloved franchise. But it should be noted that Lawrence has more experience behind the camera than just those three films. He previously made a name for himself as a director of music videos, where he worked alongside several prominent, high-profile singers. If you can say nothing else about his films, they definitely have a sharp and crisp visual composition – which could bode well for Catching Fire. One of the major differences between Lawrence and Ross will likely be the focus on the screenplay. Before he was chosen to helm The Hunger Games, Ross was an Oscar-nominated screenwriter who had worked on the scripts of Seabiscuit, Dave and Big. And when it came time to do The Hunger Games he worked closely with author Suzanne Collins in adapting her bestseller for the big screen. It remains to be seen if Lawrence will be that involved, or leave writing duties solely to Slumdog Millionaire screenwriter Simon Beaufoy." Catching Fire arrives in theaters in late 2013. 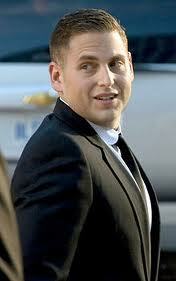 How can Jonah Hill play a coniving, killer stock brokerage evecutive? I just can't see it. I kind of agree with you but I'm giving him the benefit of the doubt.